We take great pride in our alumni and hope that you take that same pride in your alma mater. This is your link to friends, memories, services, events and opportunities — past, present and future. Class representatives serve as liaisons between the College Alumni Relations Office and their classmates to help us keep in touch with our alumni. Would you be interested in maintaining your classmates’ names, addresses and emails, and encouraging them to send information to Alumni Relations for the Classnotes section of the Lamp? As a Representative, you would be the “go-to person” for your class information and be the glue that keeps them together through the years. The Alumni Relations Office will provide contact information and suggestions for contacting your classmates. This is a project of the Alumni Relations Office in collaboration with Admissions. 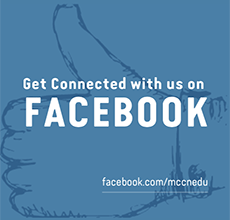 Alumni are needed to write letters to students who have been accepted to MCCN. Self-scripted, your short, handwritten letter will express your own heartfelt reasons for choosing Mount Carmel, as well as welcome students to the Mount Carmel family. This is a great project for those who live miles away but want to volunteer time and share their memories. Alumni guest lecturers are invited to provide guest lectures at student “lunch and learns” or other student and/or alumni events. Several alumni are needed to assist with the implementing of the Alumni Association Annual Meeting and Homecoming celebration, which is scheduled for Saturday, September 28, 2019. The honor classes for the 2019 celebration are those with graduation years ending in 4 or 9. The class celebrating its 50th anniversary will be the Class of 1969. For further information on this event and additional activities for the weekend of September 27 and 28, 2019 events, please contact the Alumni Relations office at alumnioffice@mccn.edu or 614-234-5681. Please contact the Alumni Relations office (alumnioffice@mccn.edu or 614.234.5681) if you are interested in serving on the Committee. 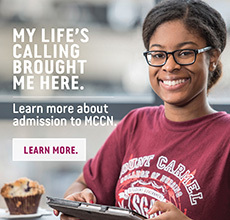 The Mount Carmel Alumni Association awards scholarships to MCCN students through the Alumni Association Scholarship Fund to help defray the cost of education. Alumni are needed to serve on the scholarship committee to assist in the creation of the essay question and to review scholarship essays. This committee is chaired by a MCAA Board member Participation may be by phone and email so alumni may participate wherever they reside. Service on this committee takes a few hours spread out from February to May. The Mount Carmel Alumni Association offers a continental breakfast to all students on the Monday and Tuesday of finals week from 8 to 11 a.m. These events occur in May and December. This is a great opportunity to visit with the students. As alumni we remember the stress of finals week! Would you like more info or are you ready to get involved? For additional information on any of these projects, please contact the Alumni Relations Office at 614-234-5681 or alumnioffice@mccn.edu and/or complete the Volunteer Form.